With RemZzzs you place the disposable mask liner between the mask cushion and your face each night as you prepare for sleep. The revolutionary RemZzzs mask liner acts as an adaptive barrier, between the skin of your face and the silicone of your mask’s cushion, helping to reduce leaks, pressure points and skin irritation. RemZzzs' special blend of 100% naturally absorbent cotton fibers help absorb facial oils and moisture, which helps to keep your mask operating smoothly, you resting comfortably, and your skin looking great. With RemZzzs you can even use bedtime facial products like skin creams and moisturizers. RemZzzs can also save you a lot of time. Most manufacturers recommend cleaning your mask every day. With RemZzzs, naturally absorbent fibers act as a barrier between you and your mask, keeping oil and moisture away from the silicone cushion, so the mask is easier to clean. 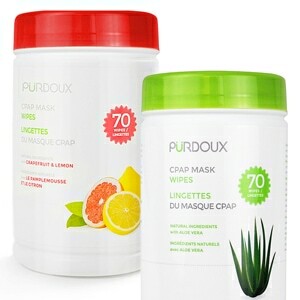 The result is you spending less time cleaning your mask, and spending more time actually enjoying all of its benefits. YES! Actually the manufacturer encourages the use of a cream or lotion on ones face before putting on your mask, with a RemZzzs in place. It will aid in keeping the liner in place, as well as promote healthier facial skin. The face cream will not interfere with the masks silicone cushion, since the liner is a barrier between your face & the mask. Applying heat from an iron will flatten the fibers and diminish its absorption abilities. If you have trouble with wrinkling, do your best to position the liner as flat as possible on the mask cushion. Once you fasten the mask in place, the liner should smooth out. If youve already fastened the mask in place and wrinkling is still a concern, adjusting RemZzzs by pulling on the protruding edges may decrease wrinkling as well. After Ive fastened RemZzzs in place, the edges curl. Is this ok? RemZzzs are very delicate and its very common for the edges to curl. Curling does not affect performance. Definitely. In order to offer the highest comfort, RemZzzs will extend about a 1/2 to 3/4 of an inch beyond your mask cushions edge. These edges also help to adjust RemZzzs once your mask has been fastened in place. Fisher & Paykel Masks For FlexiFit 405, FlexiFit 406, FlexiFit 407, Zest, Zest Q, and similar choose RemZzzs 10A-NXK for Petite, K10-NS for Small or Petite, K11-NM for Medium or Standard, and K12-NL for Large or Plus. Philips Respironics Masks For ComfortClassic, ComfortFusion, ComfortGel Blue Nasal, ComfortSelect, ComfortFusion, ProfileLite, and similar choose RemZzzs K7-NS for Small, K8-NM for Medium, and K9-NL for Large. For Wisp and Pico NASAL Masks choose RemZzzs 10A-NXK for Petite or SmallMedium, and K10-NS for Large and ExtraLarge. 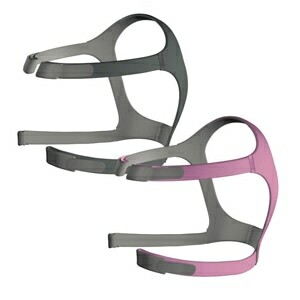 For TrueBlue NASAL masks choose RemZzzs 10A-NXK for Petite or Small, K8-NM for Medium, and K9-NL for Large. ResMed Masks For Mirage Activa, Mirage Micro, Mirage SoftGel, Mirage Activa LT, Ultra Mirage II, and similar choose RemZzzs K10-NS for Small, K11-NM for Medium, and K12-NL for Large. 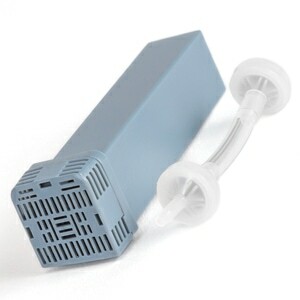 For Swift FX Nano choose 10A-NXK for ExtraSmall or Small, and K10-NL for Medium or Large. They would not stay in place long enough to get mask on. Very disappointed I was hoping they would work to help with skin irritations as well as sealing the air in. These liners were just what I needed to help with soreness on the bridge of my nose. They are soft and work perfectly. My only complaint is that they might be 1/16th of an inch too long as they sometimes get too close to my eyes. They are awful they move. I am not sure about these yet...I thought they would be a little smaller. I wear the Wisp s/m nasal mask and they still touch my eyelashes and curl in my mouth...even when I pull them like the instructions say to. I do believe they help me sleep because they do cut down on the noise my mask makes. I am not sure if I will reorder them though. I use the WISP XL nasal pillow mask and it does take time to properly align to get on the seal just right but it works. They are basically a one time use because after one use they roll up and hard to reuse unless I iron them. 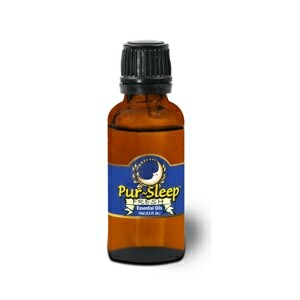 I do highly recommend them a proper seal improves the sleep hours. I like them, they make the mask very comfortable and feel dry against the face. However they are fussy to get on the seal just right and I often skip them because I am tired. If you take the time to get the liner aligned perfectly with the mask they are very nice. These stretchs and do not stay in place. I do not know why they are cutting them on the bias, they do not need to be cut on the bias and this is what causes them to stretch out so badly. Don't wast your money buying them. These are a great product, but there need to be more sizes! I discovered these when I used a different mask and they "almost" fit. Now my doctor has order a different mask and they don't fit any more. I try to cut them to fit because I have allergies but it is not the same. I have tried a number of different fabrics and these are the best. Please come out with more shapes and sizes! Work very well on my CPAP mask with a firm gel in it. Does not work with Easy Life, doesn't conform very well to it. I used my mask for two days and my face started breaking out around my nose because I have rosacea. An online search revealed that others with this problem use the RemZzzzs to good effect. It was easy to figure out what size I needed from the chart given. When I used them the breaking out skin ceased. Also they felt alot more comfortable than the mask against my face. I really, really like them. TOTAL WASTE OF MY MONEY. DOES NOT WORK. The liners do not allow skin oils to make contact with my mask. They are thin, and easy to use. Just like it took time for me to get used to wearing a CPAP mask during sleep, it will take an adjustment time to get used to the liner.